﻿ Ao Nang Cliff View Resort, Krabi | FROM $14 - SAVE ON AGODA! 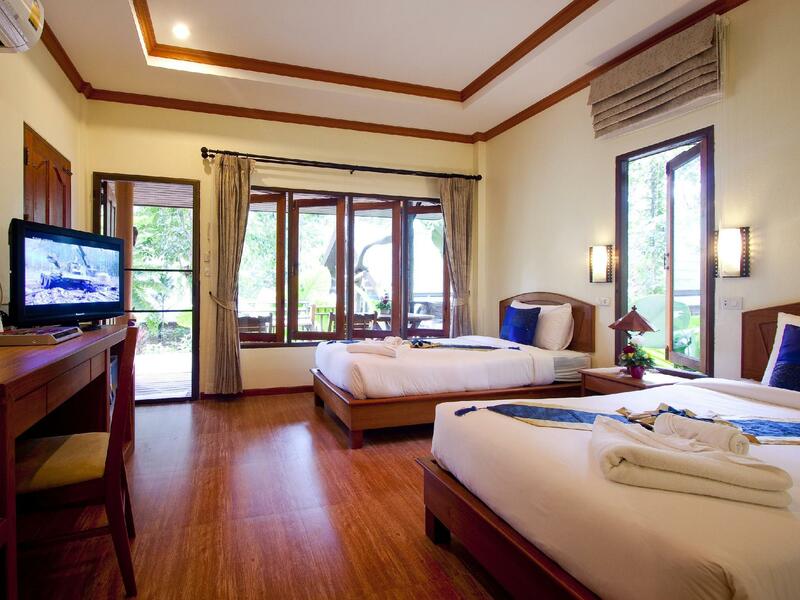 Have a question for Ao Nang Cliff View Resort? "I also went to have a swim at the swimming pool, it was very quiet and the cliff view was calming and relaxing." 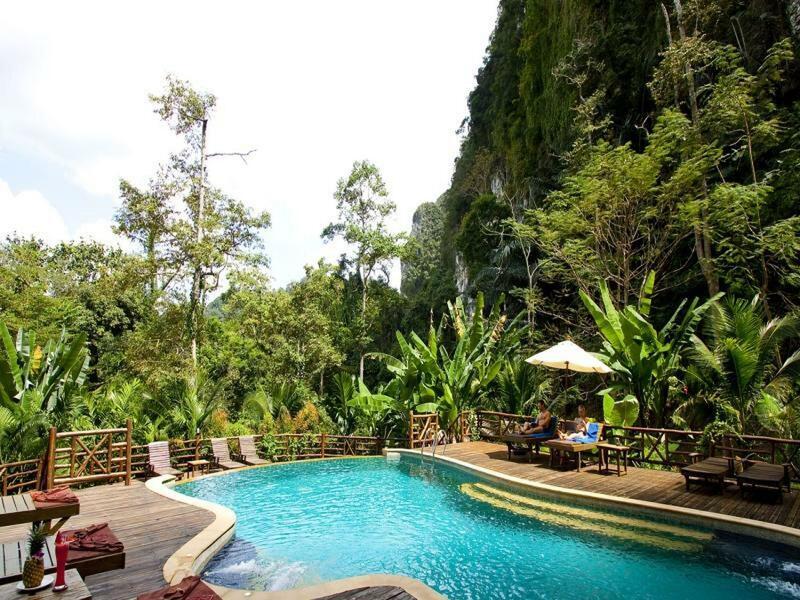 "Was good A very serene location below the cliff and inside a..."
This resort is located on the main beach of the popular resort town of Krabi. From the resort, guests can easily walk to the beach as well as the shopping and dining venues in the vicinity. There is much to do in Krabi from sightseeing to diving and kayaking at the nearby island of Koh Lanta. The rooms at the resort are spacious and all come with an in-room safe. A restaurant, creatively named Latitude and Longitude, is available on-site, overlooking the Andaman Sea. 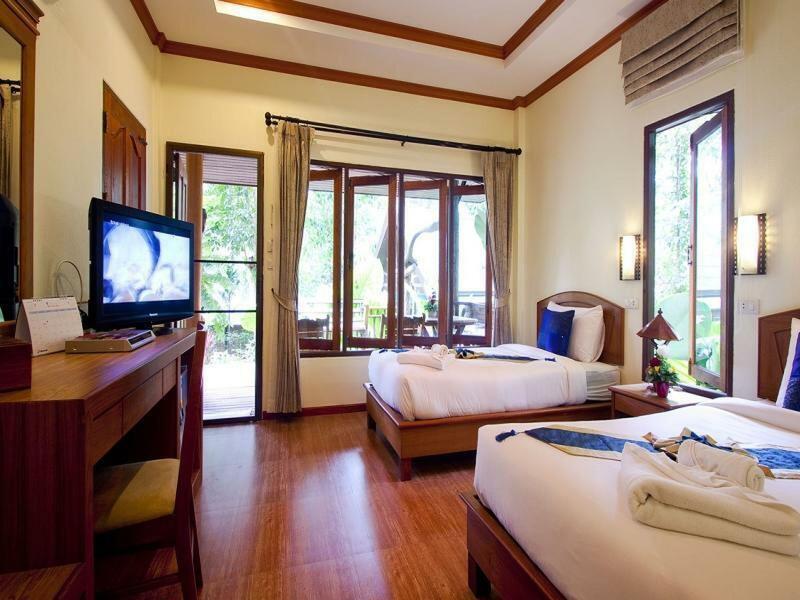 Ao Nang Cliff View Resort is perfect for unparalleled relaxation. Please enter your preferred dates of stay and submit our online booking form to make a reservation at Ao Nang Cliff View Resort. 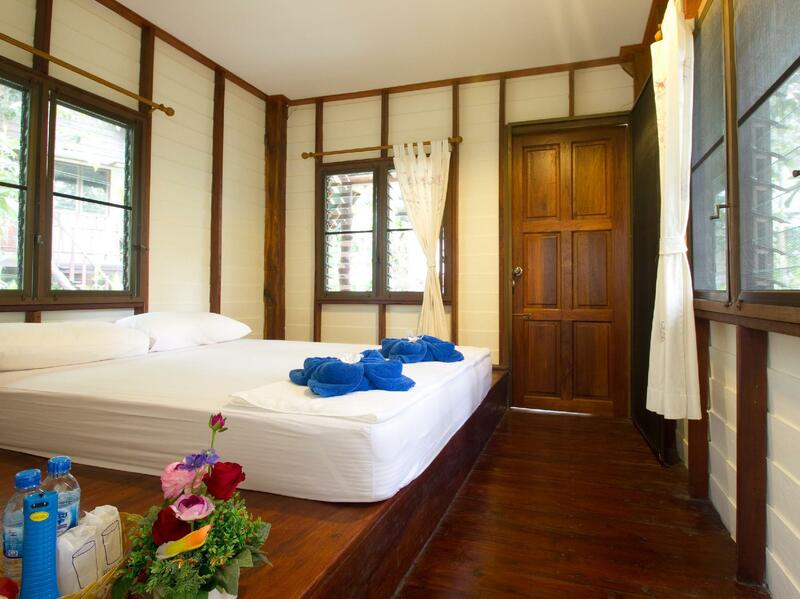 "Real Nice place to stay, but it is fare from Ao Nang beach a..."
If you want a traditional feeling, this is the place to go. 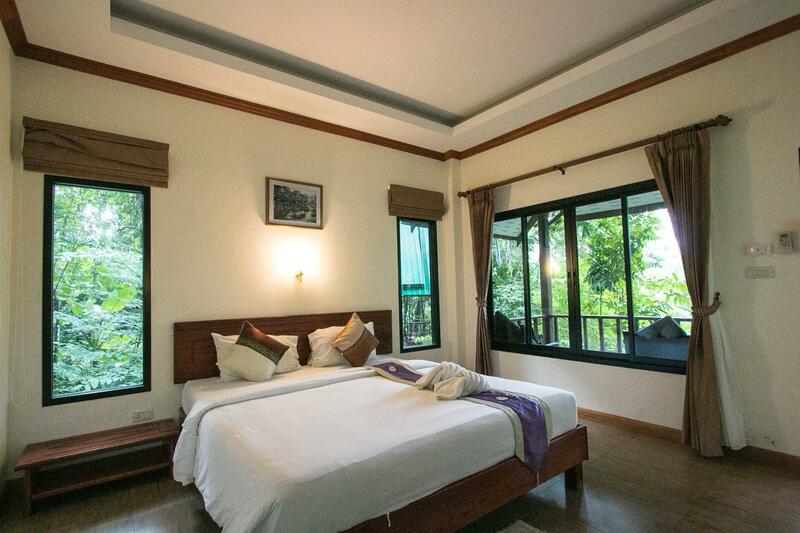 The bungalows are nice, but the matress on the standard bungalow is not that confy... The swimming pool looked nice but we didn't use it. 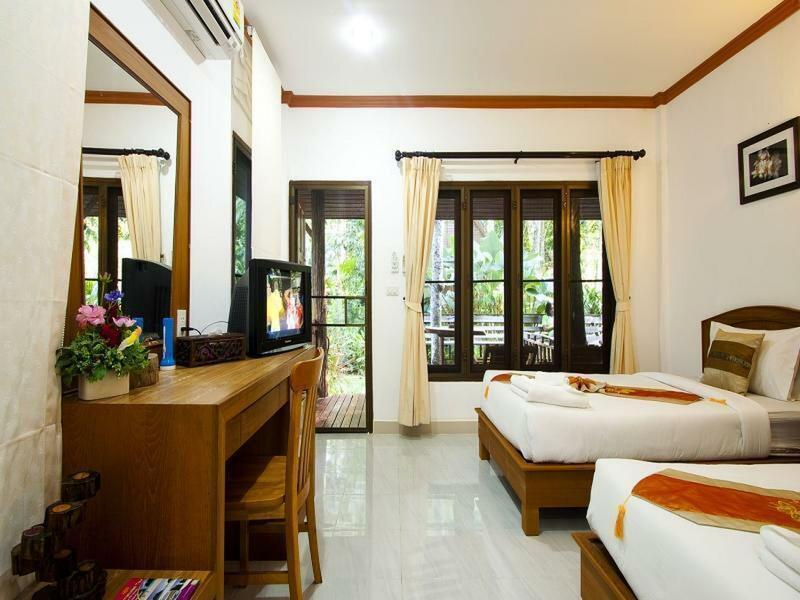 The rooms don't have safe deposit but they provide you one at reception, where you can also ask to rent motorbikes, which is the best transport you have in Krabi. The hotel also provides a shuttle to take you to Ao Nang beach, which gets quite close. The breakfast is nice, but it needs to be replaced more often. All in all, it was a good stay. 1.) Great environment. 2.) Great hospitality of staff. 3.) Comfortable. 4.) Quiet - I've received a free upgrade from Delux to Delux Premium based on availability. - Very helpful to guide us through tour packages despite of on short notice. - Willing to refund (Agoda cash) my cancelled booking despite of mistake for accidental cancellation. - Loving the environment. ENGLISH: I think it's the illest hotel of my family holidays here in Thailand. There is some plastic bag everywhere and trashes are just fix to the trees, the water of the swimming pool was trouble. In my room there was only one curtain by window and is to small to cover them entirely, the bed sheet was crappy (some pen and some fat), I cannot close the mosquito door because the bed was too tall, or the room too small, the digital safe doesn't exist anymore, but we can imagine it on the wall, no comment on the bathroom but I see cleaner. NEVER PUT MONEY IN THIS HOTEL ! We leave the hotel after 45min and they don't want to refund us. I think honestly came back in KRABI to make some paint Job. We will see who win 60$ at the end. Crappy place, Fake pictures on Agoda and booking never recommand this, please never give them your money. FRENCH: Je pense que cet hôtel était le pire de Mes vacances en Thaïlande. Fuyez, dépensez votre argent plus intelligement ailleurs. C'est pitoyable. Location beautiful. Authentic wooden 'houses' on stilts. Chickens and peacocks freely roam around. The infinity pool was impressive. The edge of the tiled seating area was sharp ehich could injure someone. The breakfast was adequate. I would however avoid the Thai options ad they are not kept warm. Cereals, toast, croissants, salad, fruit and ham available and freshly made omelettes. All very nice. Stayed in the deluxe suite, cute bungalows in the rainforest. Locating is near everything, rent a motorbike and you're off. The staff have all info and abilities to book day trips and everything you need. Good restaurant on site as well. The roosters and monkeys can make a bit of noise but you're in their home so it wasn't so bad for us. Great for the cost. Would recommend. Standard rooms don't have air con. We were in the deluxe, and it was more than acceptable for us. Set in the rainforest style placement. The onsite restaurant was good, cheap and easy motorbike rentals. Excursions fully accessible. Roosters are a bit noisy but we really didn't mind. I would definitely stay here again! I received EXCEPTIONAL service from the wonderful staff. I had discovered that I had forgotten a small personal item after checking out. They were kind enough to send it to me by mail to a hotel in another part of Thailand, something which they were not obliged to do. I am very grateful for that THANK you to the Au Nang Cliff View Resort. 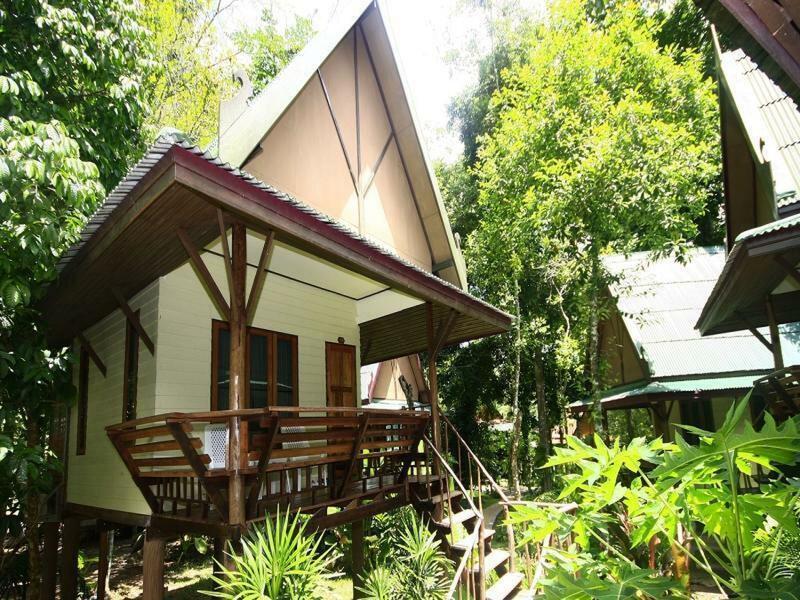 The cabins are set in a beautiful lush rainforest-like area next to a small mountain. A refreshing change to your typical hotel amongst all the traffic and noise. There is also a scenic pool and a very good breakfast buffet. You really feel like you’re in the jungle, the pool is great and there is a free shuttle going every hour into ao nang and back! My bungalow was just also the home of some ants who always came out in the evening..
One of our favorite stays in Thailand. Staff were very friendly, and helpful planning day trips. Resort was beautiful and was surrounded by the jungle and mountains. Would definitely recommend staying here, can't wait for my next visit! Room door is a challenge to open & close Bed extremely uncomfortable Safe doesn't work & they didn't bother to fix it. Yes they are bungalows in the jungle with nice paths in between, but not a resort. This place looks nothing like the photos this site promotes. The standard room is a wooden shed. Mattress on raised floor. Bathroom was appalling. Rusty accessories. It did had a hot shower but the roof was filthy. The swimming pool was green and you would be at risk using it. Restaurant was dark and grim. No Bar. They did offer a free shuttle service to town on the hour. They also offered a shared mini van to airport but be forewarned it games and it would not allow you sufficient time to do a bag drop etc. We got a private taxi. I am aware it was very cheap but even so it resembled nothing in the photos on this site. Do not go ! booked bunglow with balcony..was good A very serene location below the cliff and inside a joungle. And pool view is amazing.. Pros: if you want sometime to relax..walkaround...sit in the house balcony and read..this is the place.. its bit far from town but they have hourly shuttle. Reception staff is very very friendly. Cons: no room service..no phone connection in room and wifi is feeble...restaurant hours are limited and breakfast is very limited...no utility shop...anytime you are short of any thing,have to wait for the hourly shuttle to go to aonang..have mosquito repellant handy Must try the german/thai restaurant abt 100 meters away at the hotel entrance. They are pretty good in terms of service and food. Location is far from beach but they have shuttle bus service. Or you rent the car as and when you want (Bath 100)for one way. you should rent the motorbike if you know how to drive. One day is around Bath 200-250. Breakfast is good but not many choice. The staff are helpful, restaurant is just Ok for lunch and dinner. The pool is small but the view is very nice. Ao Nang cliff view resort was a nice spot. It had a free transfer to Ao Nang beach which was really nice (as long as you pay attention to where the drop off and pick up are). Our first room was unfortunately infested with flying ants, but we were able to get a new room after that. The bungalows were located in the jungle which meant that even though we didn’t have air conditioning, the heat was bearable. We ended up upgrading our room for our last night and it was well worth it. The upgraded room was very nice and set beautifully in the jungle. They have a great pool and a really great restaurant. We received a complementary breakfast each day we stayed and ate dinner at the restaurant each night. Great prices for delicious food and really friendly service. pros: value for money free shuttle every hour to aonang beach(10 minutes away) kind staffs except the cook who's very rude to guest good n delicious buffet daily clean towel and two bottles of water jungle feel awesome pool with cliffview comfortable bed (ruen sukhothai's msg is the best along the street. slightly pricier but very worthy) cons booked three rooms only one bathroom with good water pressure.the rest is too small. even the sink water is stronger. very hot in the afternoon but at night it's cool. Wi-Fi isn't strong. bed sheets has stain and blanket is thin.